A wonderful hidden gem in North Wilmington! 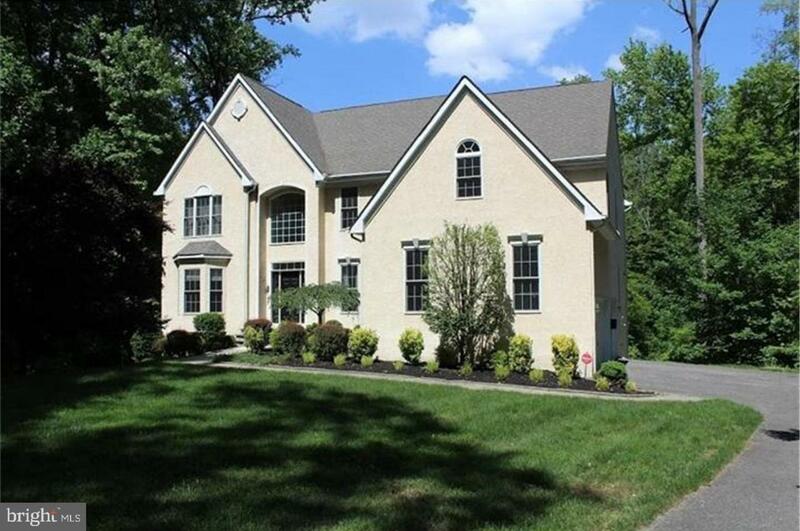 This luxurious 5 bedroom, 4.5 bath colonial-style home near Bellevue State Park is a dream home in a tranquil and pristine setting of undisturbed nature, at the end of a cul-de-sac. Surrounding properties are kept invisible behind extensive greenery surrounding the property. Spanning over 4125 SF on a lot of nearly 2 acres with mature trees, this spacious residence is a haven for gazing at nature from multiple vantage points. The grand entrance with a sweeping staircase draws you into an open layout ready for easy entertaining. The 2-story great room with a fireplace and French doors to the rear deck is the focal point of the main level. The well-equipped chef's kitchen, the elegant formal dining room, a home office, powder room, and the living room complement the first-floor line-up. Laundry is also conveniently located on the main level, leading to-the three-car garage. The second-floor master suite shares a cozy fireplace with a separate sitting area and has access to a magnificent en-suite bath with a soaking tub and separate glass shower, his and her walk-in closets, as well as to a private office. Three additional bedrooms have ample closet space and en-suite bathrooms. Separately accessible, the lower level houses a fully finished in-laws suite with a full kitchen, living room, two French doors that lead to the rear yard, and a separate large storage space. The house is equipped with 2 separate zoned HVAC systems and a tankless boiler system. The location grants easy access to I-95, SEPTA light rail to Wilmington and Philadelphia train stations with high-speed train connections, and to Philadelphia International Airport. Also, located minutes from Christiana Care Hospital and Nemours Alfred I. DuPont Hospital, and the rolling hills of Delaware's Chateau Country, the convenience of this location can't be beaten. The combination of a beautifully designed home and proximity to major cities creates a one-of-a-kind opportunity to live in tax-free Delaware.